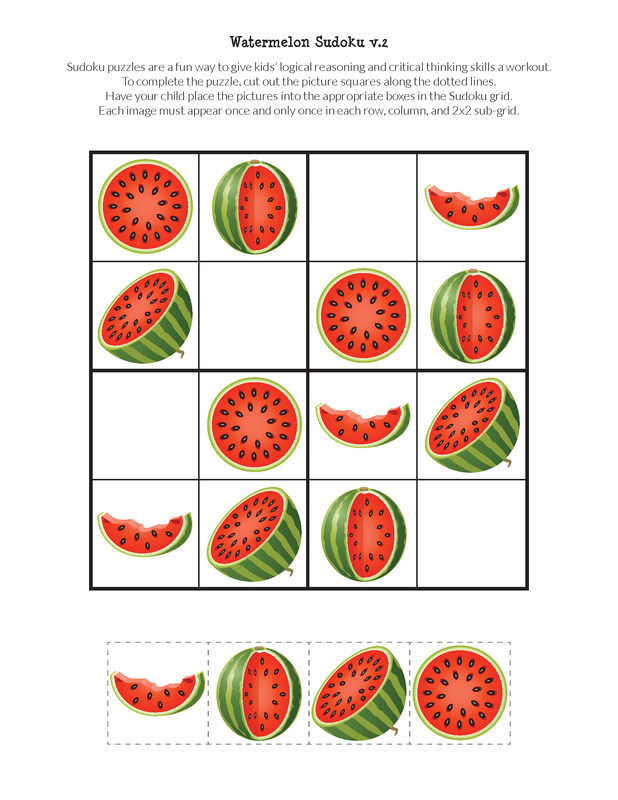 Have you seen juicy, delicious, watermelon at your grocery store or farmer’s market yet? 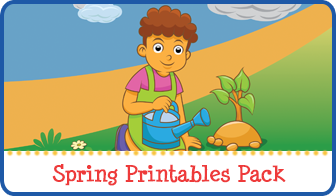 This summertime fruit always receives a warm welcome at our home during the hot summer months. 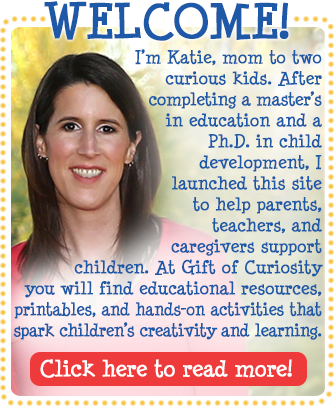 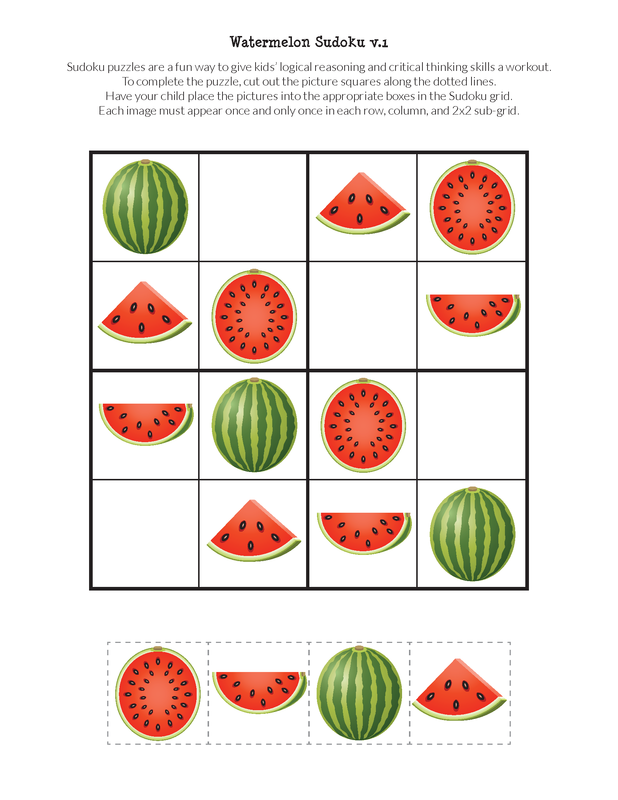 If you know any young children that love watermelon, I’ve got a new printable just for them! 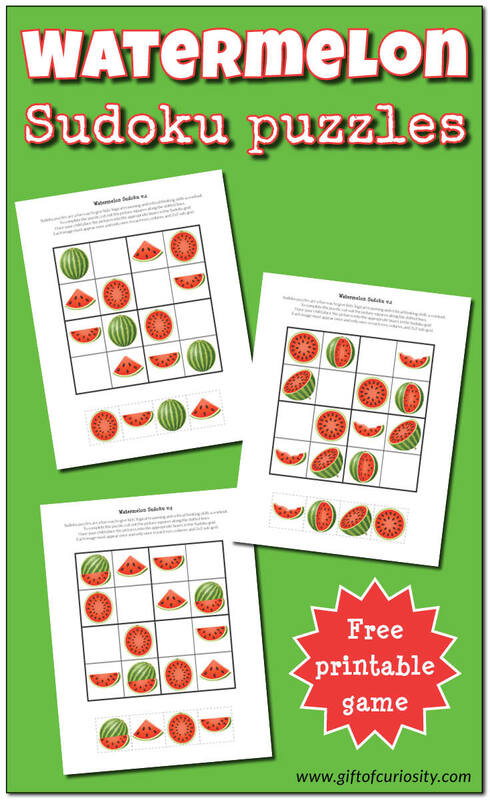 My latest watermelon printable includes a set of four kid-friendly Watermelon Sudoku Puzzles. 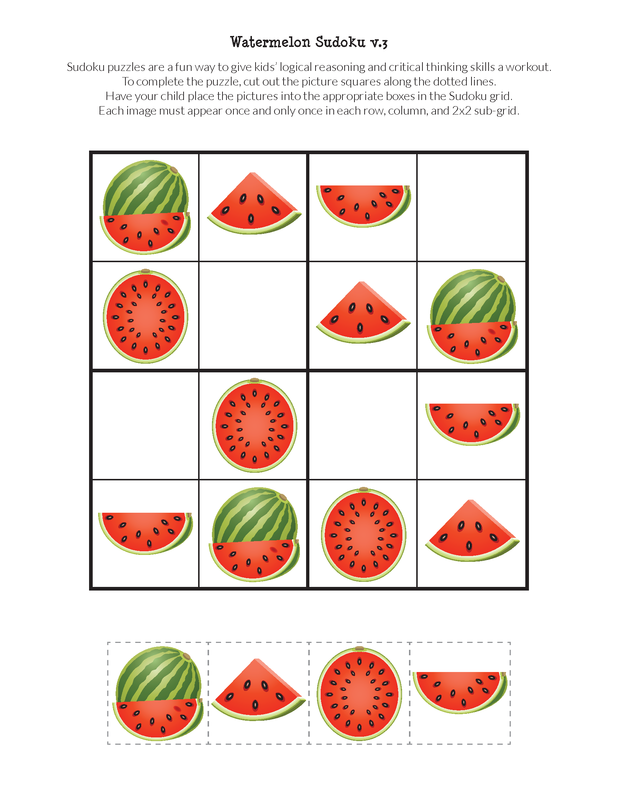 In the Watermelon Sudoku Puzzles I am sharing today, I have made the game kid-friendly by adapting it to use pictures of watermelon instead of numbers. 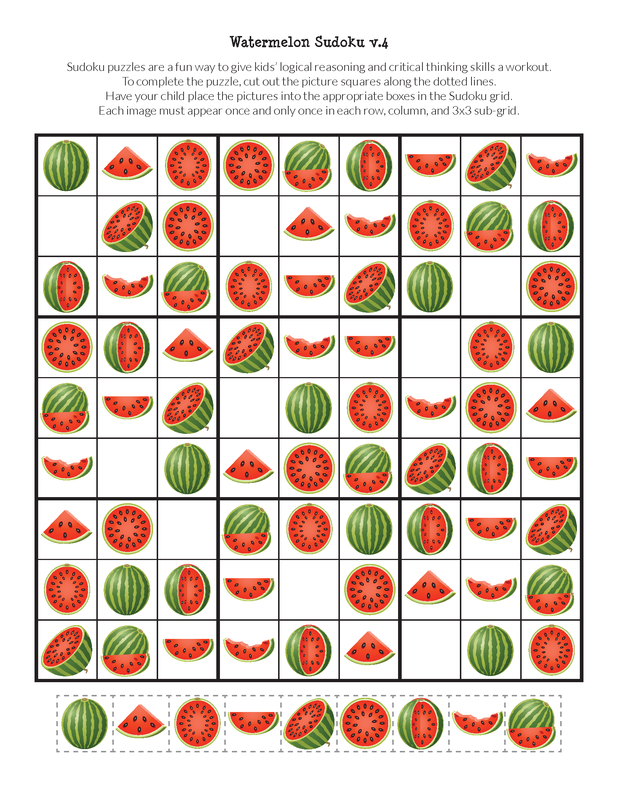 As you can see, I have included one advanced playing board with a 9×9 grid and three basic playing boards that have been shrunk to a 4×4 grid in order to make the game age appropriate for young children. 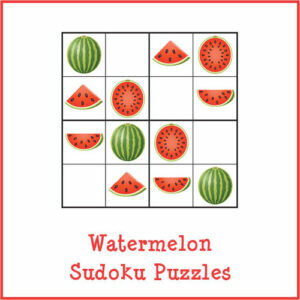 Want a copy of my Watermelon Sudoku puzzles?